FOXBusiness.com’s Kate Rogers with Jeremy Kagan of Pricing Engine on small business advertising, and crowdsourcing data to increase traffic. Jeremy Kagan may not be the first person to recognize the uneven playing field small business owners operate on when it comes to digital advertising. But the Columbia Business School professor decided to do something about it. By data mining what works across different service categories for U.S. small businesses, Kagan says participating companies are able to compete better with bigger businesses like 1-800 Flowers and Pizza Hut. Pricing Engine, the company he created with co-founder Yagmur Coker in beta testing last year, and officially launched this past March, has been growing 20% every month, according to Kagan. Kagan says the service guarantees businesses best practice strategies and offers benchmarks for comparing progress among peers. There is a free model, as well as more advanced offerings that range in price from $29.99 to $149.99. 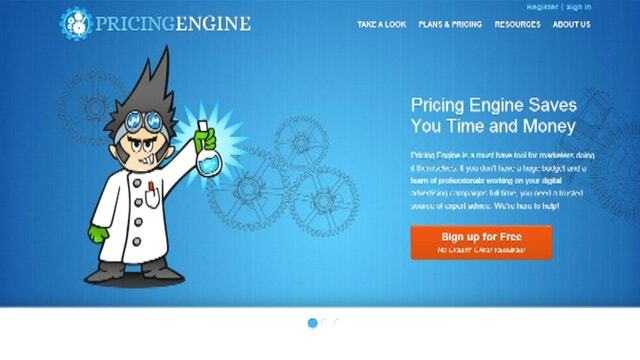 To date, Pricing Engine has scored over $1 million in funding, and has thousands of users across the country. And Kagan says being a professor of Digital Marketing helps him do his job better. He teaches students who hope to one day run their own startups, and says they are constantly teaching him new lessons. Kagan says he challenges them as well, urging his students to use a strategic framework for thinking tactics.